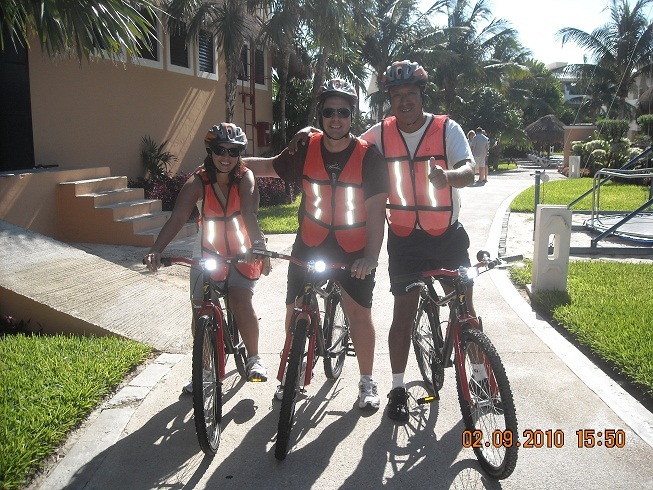 When staying at Now Sapphire Riviera Cancun, guests have the opportunity to take a fun-filled bicycle tour into the town of Puerto Morelos. This adventurous activity is a great way to get your heart rate pumping first thing in the morning and also gives you the opportunity to see the local community and shop for some souvenirs! 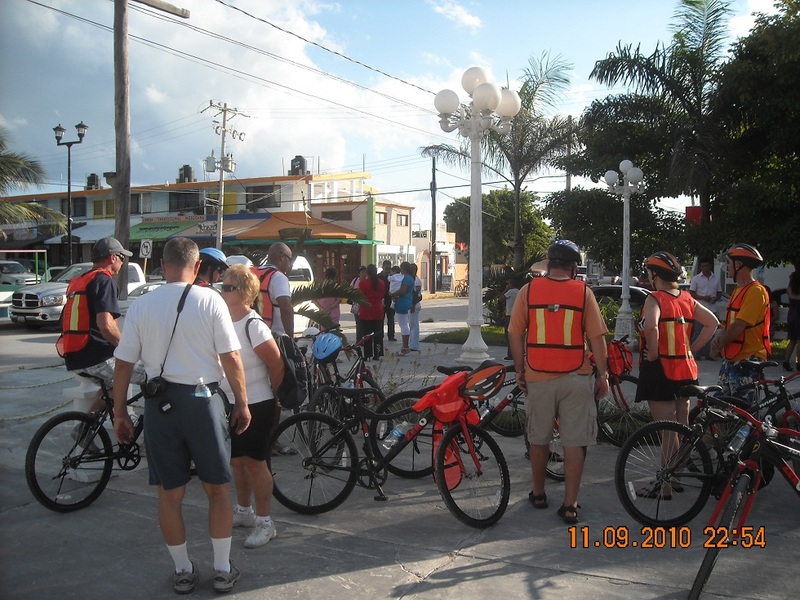 Puerto Morelos is a town in Quintana Roo on the Yucatan Peninsula, about 20km south of Cancun. It is both a fishing village and a resort and diving destination. There is a zocalo (town square) in the center of town with a few stores, a dive shop and some restaurants along its perimeter. The main fishing pier and the lighthouse are the primary points of interest, with friendly locals and great photo opportunities. 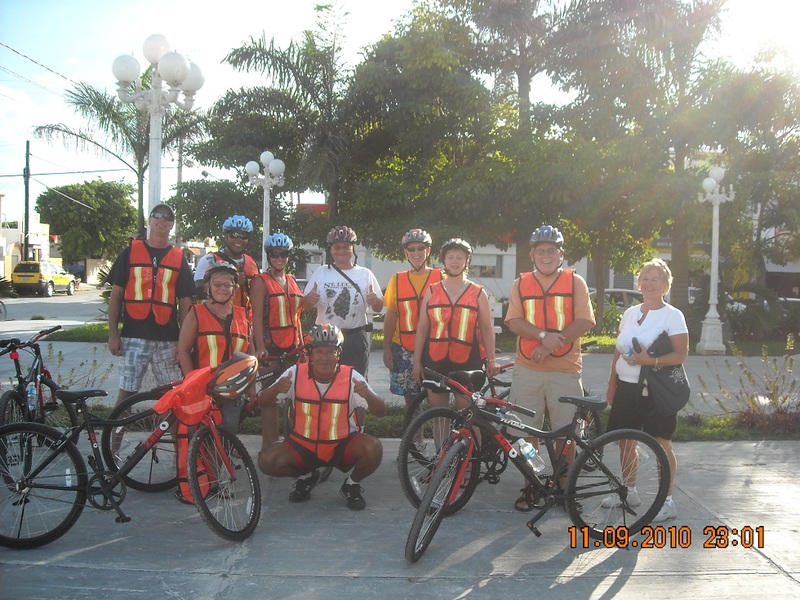 Don’t miss out on the bicycle tour to Pueto Morelos during your vacation at Now Sapphire. All you need to do is make reservations a day in advance to hold your spot. See below for pictures of our guests in action on a recent tour! 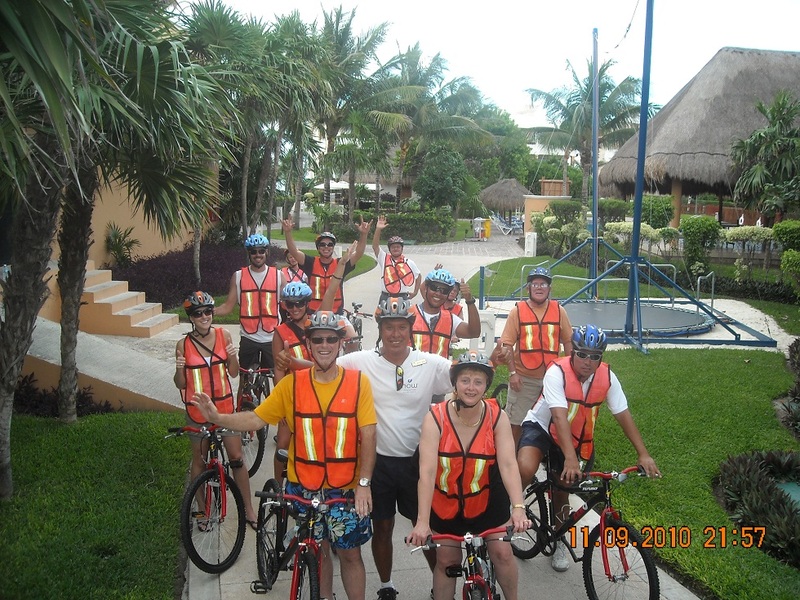 This entry was posted in Now Sapphire Riviera Cancun and tagged adventurous activity, bicycle tour, Mexico, Puerto Morelos, resort activity, vacation souvenirs, Zocalo. Bookmark the permalink. This is going to be on my TO DO List for when I go back to NOW Sapphire! Loved my time there!